Every individual has their ideal space, an imagination of how they want their home to be and those imaginations come alive through the skilled hands of the interior designers. Working with the requirements and ideas of the clients they create a perfect little space for them, these talented designers are those creators who beautify the spaces making it not only appealing to the eyes but also well-equipped and comfortable. 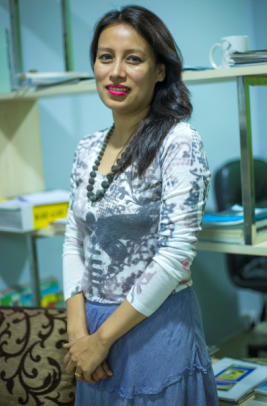 Geeta Shrestha: A skillful young designer working at Interior Points creates ideal homes for her clients according to their needs and requirements. She works on her designs keeping in mind the theme provided by her clients, and relies on her experience in modern and classical themes which are popular among her customers. These days, people are very conscious about living standards, and they try their best to beautify their homes to make it look appealing. Many clients also take something like vastu sastra very seriously. 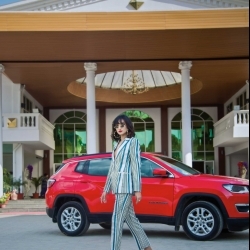 For her designs, Shrestha uses the best quality products available in the market or else they import from India/China to meet the needs of the clients and the specifics of the designs they prefer. With the increasing popularity of sites like Pinterest and tumblr people get ideas to design their homes to which Shrestha says, “Clients are getting smarter nowadays; they have their own concept and ideas of how their home should be. 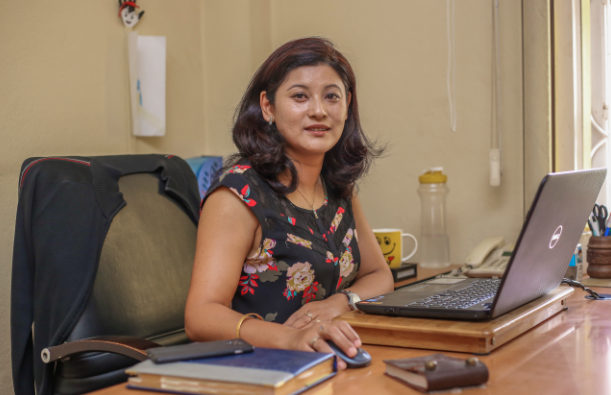 They show us their ideas which we conceptualize and give them an appropriate design according to their liking.” Shrestha constantly upgrades herself, keeping up with the market trends, striving to provide quality service to her clients. Green Design Associates Pvt. Ltd. is an architectural and interior design firm established in 2009 which incorporates contemporary trends and clever features packaged into designs that sit on a smaller footprint. They design flexibility into spaces and thus, can readily be adapted to suit changing requirements. Consequently, modification and adaptation will reduce both the energy as well as business cost. 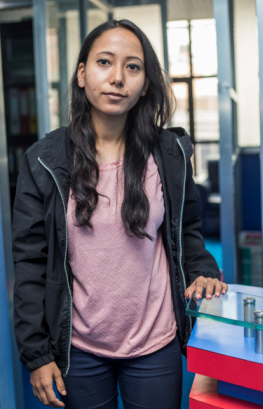 Pratikshya Shrestha, the owner of the company did her Bachelors in Architect in 2006 and had been freelancing ever since. She recently finished her masters in energy for sustainable development with a motive to develop beautiful designs that are both inviting and inspiring. Pratikshya had always been interested in designing and architecture and stays at the top of her game by conducting in-depth research on both the market and the needs of her clients. Celebrating more than a decade of beautifying homes, she and her team continue to pour all of their passion into every project, giving each client the utmost attention and care. She says,“ So much of what I do is about how people live in their intimate spaces and I care a lot about keeping their personality alive in the rooms. When people unwind, entertain or work, they find solace and connect with the people close to their heart. We, as designers, definitely have a point of view but most of it depends on the location, the client’s vision and individuality. It’s a long and fun process of seeing, talking and listening.” Her elegant and minimalist designs are sophisticated templates of modern living. Shrestha is a firm advocate of the less-is-more approach and believes in the measured approach of minimalism, and contemporary style with fine and simple designs. The interior designing is a rapidly evolving market and a lot has changed along with the trends. She remembers working with materials like complicated slope roofs, floral tiles and lavish decor and looking back at those times makes her feel like the field has in fact come a long way. Market availability greatly impacts the art of interior designing and the company keeps them updated along with the changing times so as to introduce their clients to modern living. She loves using the up and coming style of dynamism and transparency and is always looking forward to working with a dynamic approach in her projects. Chandra Humagai is the owner of Interior Point and is a talented designer whose accomplishments include the designing of the office of Air Asia and Chinese Eastern Airline. Interior Points is a full service architectural design firm that takes the eco-approach to create exceptionally LUXE environments. 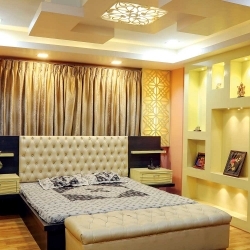 Offering an interior design service that includes all furniture and fixtures, soft furnish, curtains, cushions and accessories, the company helps with the overall design, beautifying the homes of their clients. Humagai does thorough market research according to the theme of the place he has to design. For the airline, he studied the existing environment of the airlines. He says, “We look into what the people require in their surroundings, like for the airline there are many departments: ticket counter, customer care etc. We then design the place according to what they need and try to make it as comfortable and appealing as possible.” Humagai explains how there are different requirements for different infrastructures and as a designer, he tries to incorporate all the little elements which help create a well-equipped space for the people to work in. A consultancy firm would require classrooms, a reception and admin office, while a bank would need a cash counter and cubicles for the staff. A corporate office would also have similar requirements. All the details are kept in mind while designing the space to meet each client’s requirements to ultimately satisfy them. Humagai’s company not only designs the space but also the décor of the place. The products they use like the partition board and roofing is imported from China or India but he has also invested in machinery, establishing his own manufacturing company. 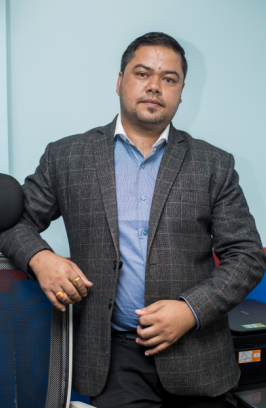 They design their clients’ homes using products made in Nepal and Humagai tries to use Nepali brands as far as possible, meeting the quality required by the customers. 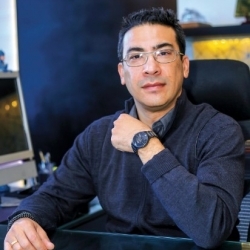 Humagai further plans to expand his firm by opening a showroom for his interior designs. As an interior designer, Humagai gives importance to little details after intensive market study, and following the trends, he tries to give quality service to all his clients. With a passion to transcribe emotions and thoughts into colors, forms and textures, Amrita Shrestha is an enthusiastic designer who has always been guided by the spirit of customer satisfaction and premium quality. 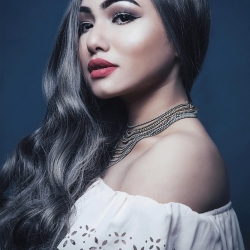 After completing a 14 month professional course from IEC: College of Art & Fashion and graduating from Kantipur International College, Amrita has been involved in space planning, designing, innovation, decorations, 3D drawings and much more as a founder of Design Couture. She says, “Design Couture is a designing company that is not just concerned about interior solutions but also offers an entire range of designing services which includes planning, designing, project management, decorating services, deriving project costs, supervising, quality control, budget monitoring and coordinating the entire project. With the completion of some of their major projects like Bliss by Sakil Kunwar, Metlife, French Bakery, Tito’s Pub N Lounge, Design Couture aims to provide integrated solutions that not only makes your space look great, but also provides an optimal environment to fulfill your personal and professional life goals. With the tagline of ‘Your space RE-imagined’, Design Couture is a one-stop destination that can be relied upon to use the best materials possible so that you feel more connected with your home and workspace. Amrita explains, “I basically use the CNC patterns in my designs and you will also find maximum use of glass mosaic in most of my creations. They add a neutral touch to the entire creation with appropriate use of colors.” Shrestha also talks about the basic challenges that most designers in the country are facing when it comes to delivering a premium quality outcome to clients. She says, ‘Most of the contemporary products we use in our designs are imported from India which drives up the costs when used here in Nepal, whether it be natural stones or the artificial decorative items.’ However, Amrita makes sure that her clients get the most out of their investment. When asked about where she gets her inspiration, Amrita Shrestha gives credit to Zaha Hadid who is an Iraqi-British architect and the first woman to receive the Pritzker Architecture Prize. She tries to add the essence of Hadid’s designs in most of her forms and textures and also uses many of the ideas that she derives from different travel channels as she wants to provide her clients with an international vibe. Amrita describes Design Couture as not just a company but your family who can understand your personality and deliver and enrich you with what you desire the most. Trends fade away but style remains the same – this is what Amrita Shrestha believes in when she is designing for her clients and thus makes sure her designs and products show the essence of timeless techniques combined with contemporary elegance, maintaining high standards in quality as well as longevity. Tejta Vaidya Amatya, the cofounder of Conception Interiors, takes a minimalist approach while styling spaces. Striving for a practical, user friendly as well as a chic style, this designer finds her inspiration to be accumulative. 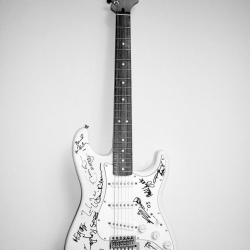 “There’s always a storm of ideas and influences that come into play. Everything can be inspiring. 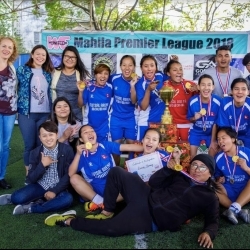 It is how you look at the world,” says Amatya, citing her inspirations as her childhood, her education and educators, by every city she has travelled to, every book that she has read, every song she has listened to, and many more. Her style was not always the minimalist one though; it has evolved with the changing trends over the time. About a decade or two back, interior design was a thing of luxury whereas now, it is like a basic necessity. People have come to prioritize space management. When interior designing was seen as something luxurious, neoclassical themes influenced much of the style. “Now is the era of minimalism.” she says. Designers now opt for straight lines and sleeker designs. Amatya also loves to natural materials that are sustainable. She incorporates green plants extensively in her designs. Her own ideal space would look chic and minimalistic, using the furniture items that are only absolutely required. There would be a discreet presence of any art piece, or vintage piece. The lighting would be subdued, with required focus & task lightings; colours and hues used to enhance the identity of the space, with darker heavy colours used in moderation. The celebrity this classy designer wants to style for is equally classy: Barack Obama. She would opt for simplicity; a down to earth and practical design, yet classy in its own way. To all readers who want tips for revamping a space, she recommends that you identify your requirement clearly. The space should be able to reflect your personality.” Spend longer time on planning, and don’t jump hastily to execution, research as much as possible on physically and digitally.” Amatya stresses that the colours must be chosen wisely and that a special attention be given to the lighting. She insists that we should not try and copy others; when something comes from within, it results to original products. Amatya expresses her interest in designing movie sets. “I want to make it look more realistic when it is not, using look alike materials. 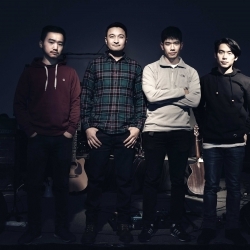 Sets have to be put up in a short time, unlike permanent constructions, and that sounds more challenging.” It is no doubt that any ventures that the talented Amatya pursues will be a success.